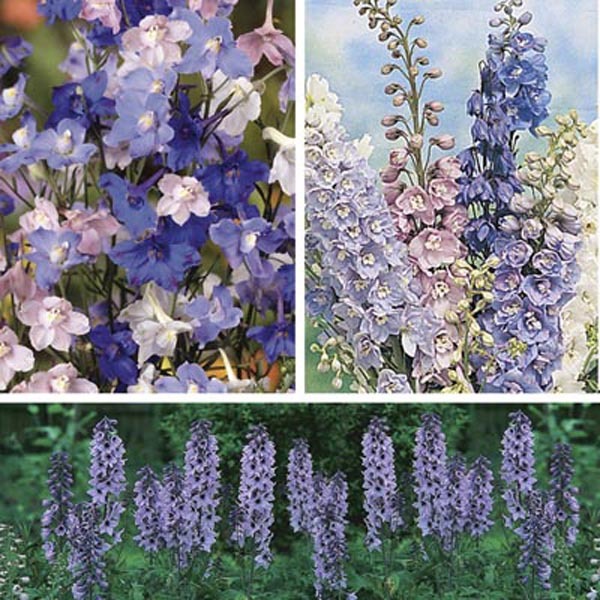 Delphiniums have held a valuable position in traditional flower gardens for generations. The intricate blossoms are beautiful up close, and from the distance the tall spikes make a grand and colorful vertical accent in the garden. Small species are terrific for border fronts, rock gardens or containers. The tall species are a favorite for using in cut arrangements. All Delphiniums are loved by bees and butterflies!